The average sea level around the world has risen a total of 222 millimeters since 1875. The United Nations Environment Program estimates that there are 46 000 pieces of plastic litter floating in every square mile of ocean. The amount of carbon dioxide in the atmosphere is higher than at any time in measurable history, and predicted to increase dramatically this century. The theory of global warming is nothing new. The Nobel Prize-winning chemist Svante Arrhenius first proposed the idea of global warming in 1896. Carbon dioxide, he knew, traps heat in the Earth’s atmosphere. He also knew that burning coal and oil releases carbon dioxide (CO2). Diseases such as malaria and dengue fever could become more difficult to control in areas where it’s currently too cold for them to spread year-round. Europe was scorched by heat waves in the summer of 2003, the hottest in at least 500 years, claiming tens of thousands of lives. The World Health Organization believes that even the modest increases in average temperature that have occurred since the 1970’s are responsible for at least 150 000 extra deaths a year a figure that will double by 2030, according to WHO’s conservative estimate. A 5-foot sea-level rise would submerge 16% of land area in Bangladesh, displacing at least 17 million people. Very large populations in Indonesia and Malaysia are similarly threatened. 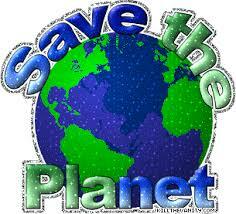 The World Meteorological Organization reported that 2000-2009 was the hottest decade on record. A 2010 study warns that unchecked greenhouse gas emissions could cause oceans to acidify at a rate unprecedented in at least the last 65 million years. About one-third of the CO2 pollution from smokestacks and tailpipes is absorbed by the world’s oceans, where it forms carbonic acid. In 1998, the world’s coral suffered its worst year on record, which left 16% bleached or dead. The U. S. Geological Survey has warned that two-thirds of the world’s polar bear populations could be lost by mid-century as sea ice continues to retreat. Flame retardants, phthalates and toxic pesticides can all be found in household dust. Idling for just 30 seconds burns more fuel than turning off the car and restarting it. Refrigerators more than ten years old are typically 40 percent less efficient than newer, Energy Star-qualified models. According to researchers, each year an estimated 6,3 billion kilogram of trash are dumped into the world’s oceans. Hot water can consume over 20 of the typical home’s energy budget. Clothes dryers typically use almost 1000 kilowatt hours of energy each year. In West Africa, where 43 percent of the world’s cocoa beans are grown, 284 000 children work on cocoa farms under abusive labor conditions. During dry months, 40 percent of the average household’s water consumption goes to outdoor watering. 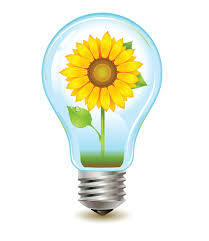 Up to 50 percent of the average household’s energy consumption goes to heating and cooling the home. Found in almost every category of food on the market, food dye Red 40 can cause hyperactivity, aggressive behavior and inability to concentrate in children, and migraine and upset stomach in adults. In North America, fruits and vegetables travel an average of 1500 miles before reaching your dinner table. 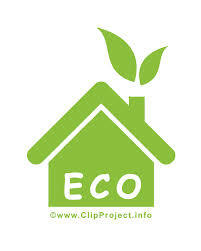 Recycling 1 ton of plastic saves 6,8 cubic meters of landfill space. A single quart of motor oil, if disposed of improperly, can contaminate up to 6 000 000 liters of fresh water. On average, each one of us produces 2 kilograms of solid waste each day. This adds up to almost a ton of trash per person, per year. 5% of the world’s people generate 40% of the world’s waste. A modern glass bottle would take 4000 years or more to decompose -and even longer if it’s in the landfill. The world’s per capita grain production has been on the downfall since 1985 despite the use of fertilizers and pesticides. At one time, aluminum was more valuable than gold. 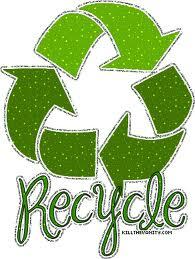 Recycling 35 percent of our trash reduces emissions equivalent to taking 36 million cars of the road. 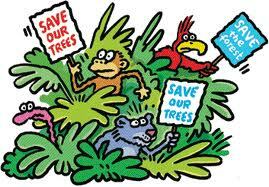 100 000 square kilometers of Rainforests are being destroyed each year. Already over half of the world’s tropical forests have been lost. The production of a single computer also uses 190 000 liters of water. To produce one kilogram of oven dry wheat grain, it takes 715-750 liters of water. To produce one kilogram soybeans, it takes 1650-2200 liters of water. To produce one kilogram beef, it takes 50000-100 000 liters of water. In Israel 90% of homes have solar water heaters installed, where they must now be installed on new homes by law. A new light-rail line costs about a third of a new highway or loop road. Average computer left on for 1 year: 340 kg of CO2. 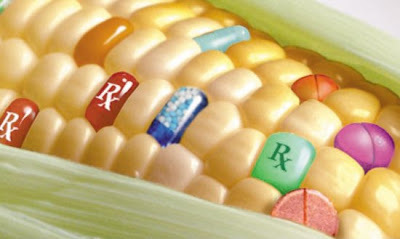 The US alone grows over half of all GM crops. The first modern wind turbine was built in Vermont in the early 1940’s. While the world’s population doubled between 1950 and 1996, the number of cars increased tenfold. 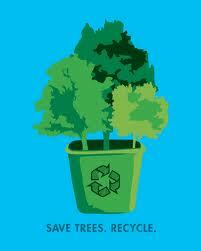 Making new paper from recycled paper requires 30-50 less energy than making paper from the trees. Genetically modified plants contaminate the gene pool of conventional seeds. It is impossible to fully clean up our contaminated gene pool. 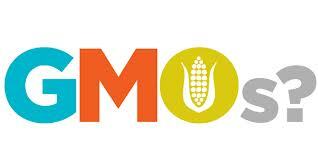 GMO contamination caused economic losses for organic and non-GMO farmers who often struggle to keep their crops pure. Genetically modified plants increase herbicide use, because overuse of herbicides (like Roundup) results in “superweeds” resistant to the herbicides. This is causing farmers to use even more toxic herbicides every year. By mixing genes from totally unrelated species, genetic engineering unleashes a host of unpredictable side effects. Meat, eggs and dairy products from animals raised on the millions of tons of GM feed imported into Europe do not have to be labeled. Some studies have shown that contrary to GM and food industry claims, animals raised on GM feed are different from those raised on non-GM feed.